“Islands are important” is John DuBois' campaign slogan. DuBois is a candidate for Charleston County Council district 9. As a child born in Charleston, John DuBois spent many summer days on his grandparent’s farm in Colleton County. He recalls the fall harvest celebrations and drinking sugar cane juice fresh from the press. 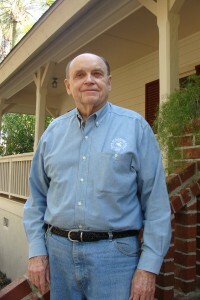 Though the call of duty took him from his hometown for many years, John was able to return to Charleston County and moved to Seabrook Island, where he kicked off retirement by serving as the Director of Security on the island for 12 years, followed later on by a four year term as the island’s mayor. 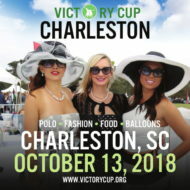 In between times he served variously on the Property Owners Association, the External Affairs Commission, the Charleston Area Convention and Visitors Bureau and as the Chairman for the St. Johns Fire Commission. And now that Paul Thurmond has announced that he will not be running again as representative for District 9 on the Charleston County Council, John has announced his candidacy for the open seat. As representative for District 9, an area which covers parts of James Island and West Ashley, and all of Folly Beach, Kiawah Island and Seabrook Island, John feels that there are several areas that need to be addressed, namely: traffic management, growth management, the budget, the environment and coastal culture. Above all, however, he stands for fiscal management. With part of his background spent serving as a criminal investigator manager for the Office of the Inspector General auditing government contracts to civilian companies, John DuBois is well-suited to help straighten out government spending. During his days with the Inspector General’s office, John remembers saving close to $144 million on a single project through auditing. In terms of traffic management, John knows that something needs to be done to handle all of the traffic that has been building up on the islands over the years. 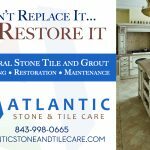 According to recent figures provided by businesses on Kiawah Island, Seabrook Island and Freshfields Village, more than 885 of their employees come all the way from Summerville to work, and more than 3200 come from the James Island area. 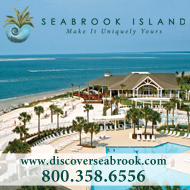 In total, the islands employ more than 11,000 people each year from areas outside of Kiawah and Seabrook. His platform of managing growth ties in to the issue of traffic management through infrastructure management, preparing for the impact of growth and making sure that the capacity is there for growth both now and in the future. At the same time, however, he urges the protection of what we have; the coastal culture with which he grew up, and the environment which we all enjoy. John DuBois served in the Army for 22 years and saw action in both the Korean and Vietnam wars. He later worked for the Federal government for 14 years, serving as a traveling security specialist for the military, and then as a criminal investigator manager for the Department of Agriculture and later for the Department of Labor. He now lives on Seabrook Island with his wife, Mary. Hi there Mr. DuBois’. I use to work for you with Digger Odell in Security. It is so good to see that you are trying to make things better. I do wish you the best and you certainly have my vote. With kindest regards, I am Clarence Bishop Jr.